Are you interested in building a retaining wall in Sydney, Newcastle, Wollongong or on the Central Coast? At Gorilla Wall, we provide all the supplies and advice you need to get the job done. Whether you want to build a small retaining wall on a slope or a 4m high wall for a commercial site, we stock the highest quality sleepers, steel, and under fence plinths for you. Whether you’re interested in building a garden retaining wall or a large concrete wall, retaining walls can be a great addition to your property. By holding back soil, retaining walls create flat areas, improve drainage and provide an aesthetically pleasing space. 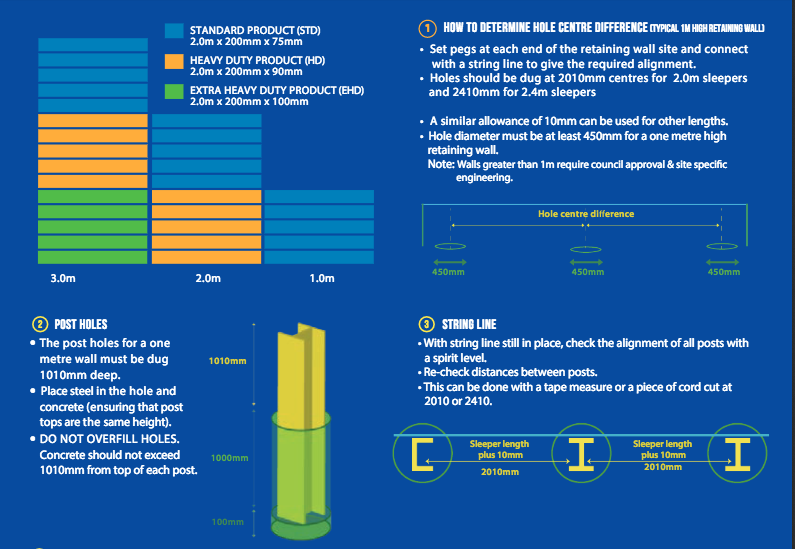 Retaining walls can be built as small as 200mm high or as tall as 4m! Whether you want to build a small retaining wall or a large commercial one, we have a wide selection of colours, textures and materials to suit your needs. Gorilla Wall socks sleepers that are 2m long or even 2.4m long, meaning we have a product to suit your spacing needs. 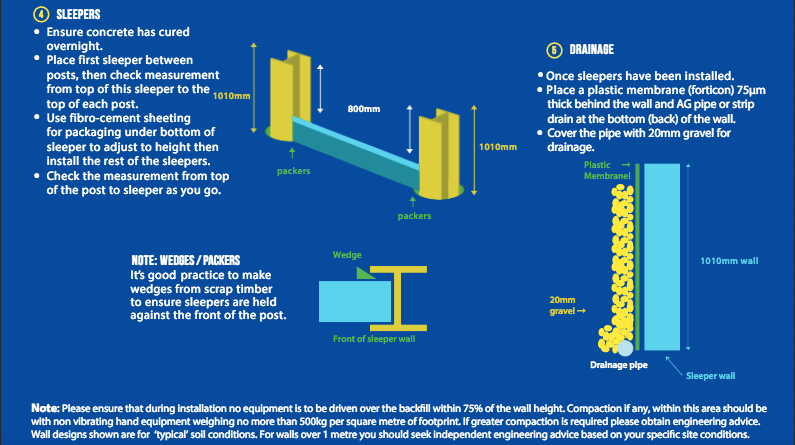 Before you build your own retaining wall, you will need to consider council approval and your engineering needs. Retaining walls greater than 1m high may require council approval and engineering. In some locations, walls greater than 500m high will require council approval and engineering. These requirements will vary state by state and council by council. Please call your local council regarding regulations in your area of Sydney, Newcastle or the Central Coast. If your engineer needs the specifications of our sleepers, please contact us today. We will be happy to provide the information you need. What’s the Best Way to Build a Retaining Wall? Please use the information above us a guide only and remember to call your local council for advice before starting work. For more information on how to build your retaining wall, feel free to email Gorilla Wall or give us a call. We will be more than happy to guide you through the process.